This property is very unique and has excellent investment potential! 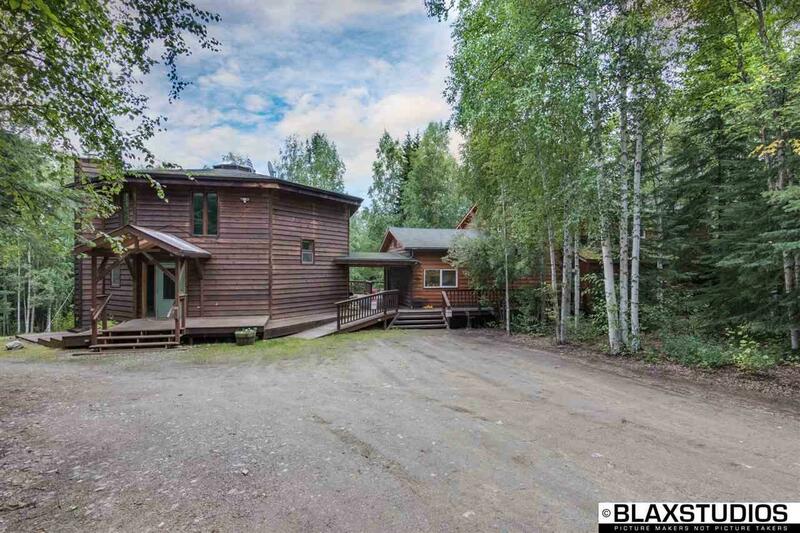 There are two large structures on this private 5 acre property, each is fully functional with 3+ bedrooms on one side and 4 bedrooms in the other. The layout of the second building would make for a great rental home, a retreat/convention center, a B&B or any other home business that requires ample size, amenities and comfort! 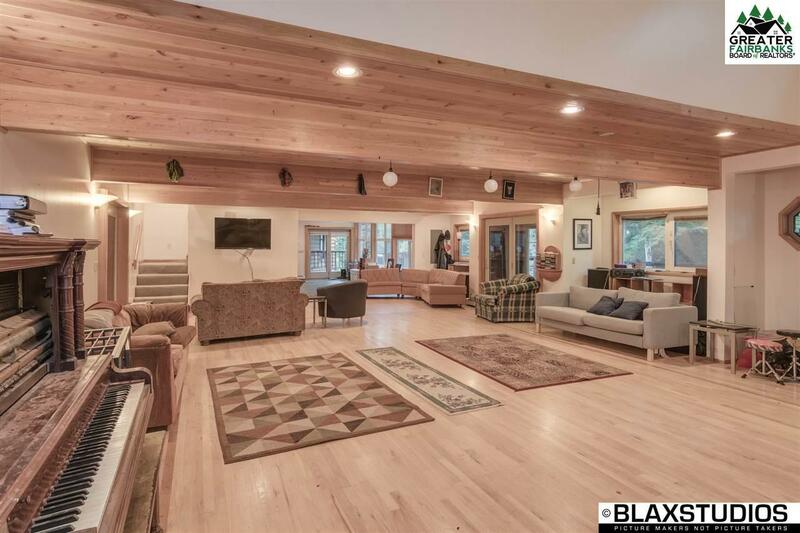 The main home is double wall, post-and-beam 'octagon' and is definitely one of a kind. The sunken chef's kitchen is front and center, and the angular design of the home and well placed windows let in light from every direction. Hillside views of Ester Dome and the surrounding area are gorgeous year round. The second building features an extra large and open main area with a fireplace and seating ledge, hardwood floors and a two-story ceiling. Full kitchen and four bedrooms upstairs that could just as easily function as offices for a business. Outside, an expansive, multi-level Redwood decking system and covered walkway connect these two incredibly well-built structures. Two garages that can accommodate 5 cars in total with extra cold storage space on the side. 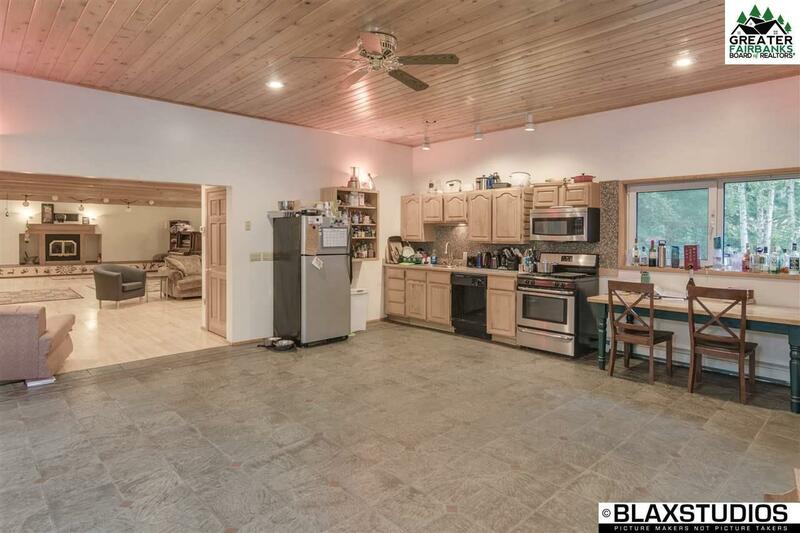 There is a Blaze King wood stove in the main home. 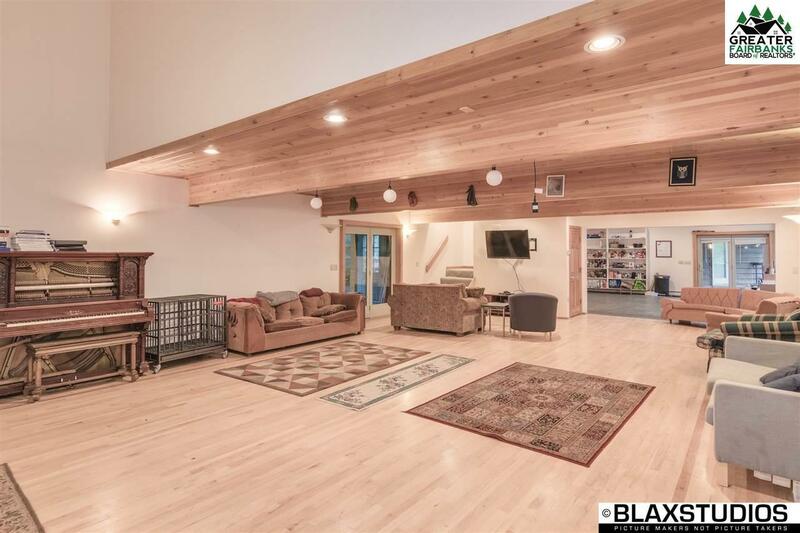 There are so many great features about this property, and the many income possibilities make this a must-see home to appreciate all that this property has to offer!